Primary Specialty is Residential. Whether you are looking for a single family home, townhouse, condo, or multi-unit building, Lucy Mierop can help you find the home of your dreams. With over 18 years experience as a top producer, Lucy has what it takes to get the job done. Want to build a home? Call Lucy (708-558-8800) to help find a lot in your desired neighborhood. Secondary Specialty is New Construction. In the past, Lucy has exclusively listed several new developments including Indian Woods, Fairway Club, and Market Street. New construction is booming all around us. E-mail Lucy to be the first to know about new developments coming to your area (lucymierop@yahoo.com). This year Lucy hosted a CMN Fundraiser aboard the Mystic Blue Boat on Venitian Night. Over $12,000 was raised to benefit the Children's Miracle Network. A live band, raffle, silent auction, open bar, dinner, fireworks, and more helped everyone attending to have a wonderful evening. E-Mail Lucy at lucymierop. @yahoo.com to be notified of upcoming CMN fundraisers and events! The office also collects toys for the Children's Miracle Network at Christmas time. Anyone wishing to make a donation to CMN may e-mail Lucy. Lucy Mierop is RE/MAX Market of Willow Springs� Top Platinum Producer. To achieve this award, one must produce over $250,000 is closed commissions. Lucy achieves over $15 million dollars of sales volume per year. Lucy Mierop is also the Broker/Owner of RE/MAX Market. She has recruited and retained over 40 agents at her Willow Springs office. Lucy lists and sells residential property including townhomes, condos, single family homes, and new construction as well as commercial property and vacant land. 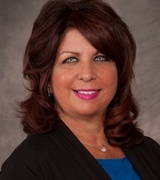 She concentrate much of her efforts in Burr Ridge, Indian Head Park, Willow Springs, La Grange(Park, Highlands), Hinsdale, Hickory Hills, Palos, Lemont, Justice, Bridgeview and surrounding suburbs. Although those areas are her specialties, Lucy travels to many other cities to list properties and show buyers homes. Lucy Mierop's success has grown yearly due to returning satisfied customers and their referrals, as well as continuous new clients. Lucy works daily, especially on Sundays where she enjoys meeting new customers at open houses. Her client base grows weekly as she meets many new clients each week. Her qualified buyers will be called first to preview listings to achieve a quick sale and top dollar price. Lucy Mierop is excited that through hard work, years of professionalism, and knowledge, she has achieved over $200 million dollars in closed transactions. Please feel free to ask for references from her satisfied customers as a testimonial of workmanship. Lucy Mierop looks forward to working with you. She is truly knowledgeable in all aspects of real estate and works hard to make the transaction a pleasurable and satisfying experience for all involved. Call Lucy Mierop (708) 558-8800 today to assist you with any of your real estate needs!